Leaders of the Missouri Senate say early indications are that an unknown green substance sent to a lawmaker at the Statehouse poses no danger, but investigators are taking extreme caution. The Missouri Senate has approved one of Gov. Eric Greitens' nominees for the Missouri Ethics Commission. Former Democratic state representative Wayne Henke was confirmed Thursday in a voice vote, giving the short-staffed ethics commission a quorum before its next meeting on April 25. Without a quorum the commission can't act on complaints, including one pending against the governor. The Missouri Senate is considering a bill that would extend Medicaid for new mothers struggling with addiction, a notable expansion for a state that did not expand Medicaid after the Affordable Care Act passed in 2010. 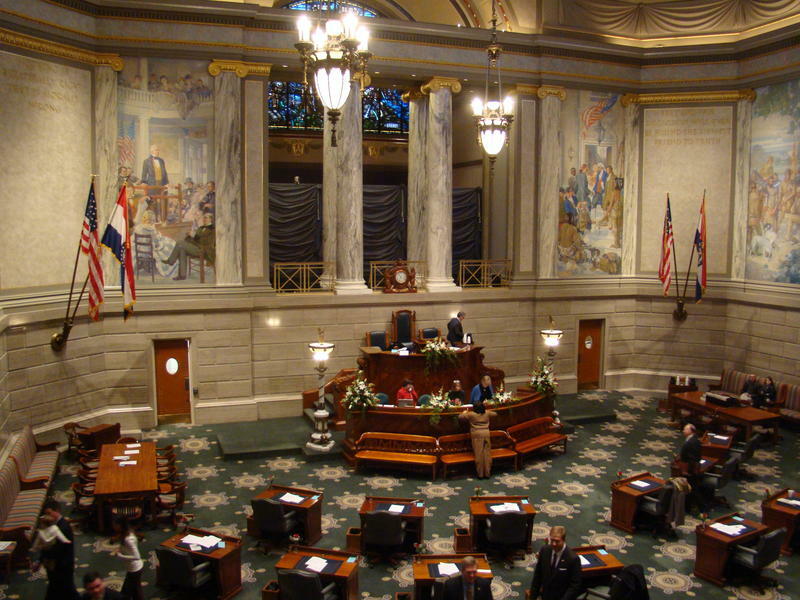 The Missouri Senate has given initial approval to a proposed constitutional amendment that would allow members of the Legislature to serve up to 16 years in one chamber. Voters would have the final say if the Senate approves the proposal once more and it also passes the House. Missouri senators have approved changes to the governor's role in picking State Board of Education members after a fight with Gov. Eric Greitens. Senators this past week voted 22-10 to send a bill to the House to require at least five members of the eight-member board to have Senate confirmation before the board could act. A bipartisan group of senators spent over 20 hours filibustering a bill that rewrites Missouri’s utility laws. The hours-long discussion ranged from Amazon’s future headquarters, to Gov. Eric Greitens’ proposed tax plan, to Eminem. 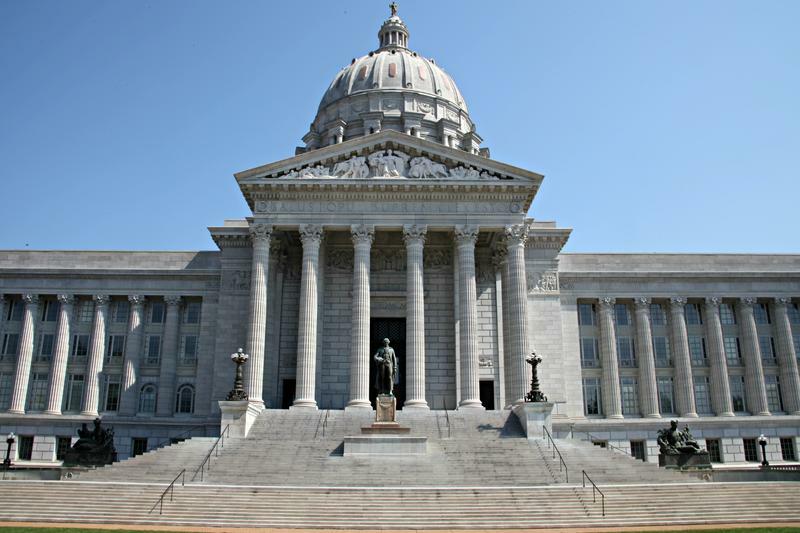 The Missouri Senate is again considering capping the state’s two biggest tax credit programs, despite their popularity with local leaders in urban and suburban areas. Two separate bills, SB 590 and SB 591, would place limits of $50 million a year on incentives for both historic preservation and low income housing, which are both currently capped at $140 million. Missouri senators have voted to give residents a choice to get a driver's license that would allow them to board planes and enter military sites. Senators voted 28-5 Wednesday to allow residents to decide whether to get a license that complies with federal ID requirements. Without a change, Missouri residents won't be able to use their driver's licenses to board airplanes or enter some federal facilities starting in 2018. Missouri appears to be one of the handful of states that haven't fully enacted key provisions of the 2005 Real ID Act. Missouri senators have done little work for the second day in a row with less than two weeks before lawmakers' deadline to pass bills. Senators adjourned within minutes Tuesday after doing essentially nothing Monday. Assistant Majority Floor Leader Bob Onder said the Senate adjourned to work on the budget, which is due Friday. The standstill on other bills follows threats from Sen. Rob Schaaf to block legislation until there's debate on strengthening state ethics laws, although he said he'd allow the budget to move forward. Missouri public K-12 schools appear set to get roughly $48 million more in basic aid next fiscal year. Senators voted 19-14 on Tuesday in favor of bumping up funding to meet targets called for under state law. Because House members also passed a proposed budget that would meet funding goals, the money for schools likely will be locked into the final budget due May 5. Senators were split on whether to give the extra money to K-12 schools while state revenues are lagging. 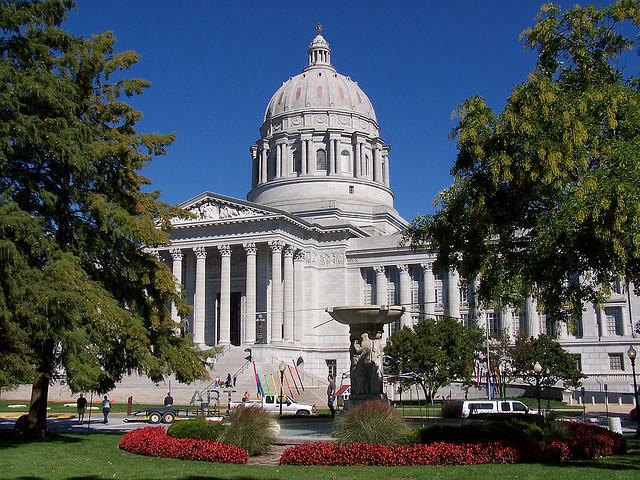 JEFFERSON CITY -- Missouri Senate budgeters have approved a plan to make cuts to in-home and nursing care for disabled residents while slightly increasing money for public K-12 schools. The Senate Appropriations Committee on Thursday passed its version of a budget for the next fiscal year beginning in July. The budget proposal would cut in-home and nursing care by requiring people to show more severe disabilities to qualify, although the cuts are not as deep as what Gov. Eric Greitens initially recommended. In 2018, Missourians may have a harder time boarding flights and entering federal buildings using their driver’s license. Missouri is one of five states that does not comply with REAL ID, the 2005 federal law that requires states to administer stricter standards for distributing state identification like driver’s licenses. The Missouri Senate has given initial approval for legislation establishing a prescription drug monitoring program. Senators on Wednesday voted 20-13 to create a database that tracks when prescriptions for controlled substances are written and filed. The goal of such programs is to prevent people from going to multiple doctors to get prescriptions for drugs such as painkillers — sometimes known as "doctor shopping." Missouri is the only state that doesn't have such a system. 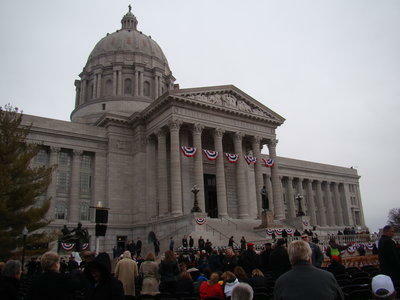 JEFFERSON CITY (AP) — A Missouri Democratic lawmaker is proposing a bill to make donations for gubernatorial inaugurations public records. Liberty Rep. Mark Ellebracht in a Thursday statement criticized Republican Gov. Eric Greitens' decision to keep secret the cost of his privately funded January celebration. Greitens did release a list of "benefactors," including Anheuser-Busch, Boeing, Express Scripts, General Motors, Monsanto and Wal-Mart. Greitens spokesman Parker Briden declined to comment. 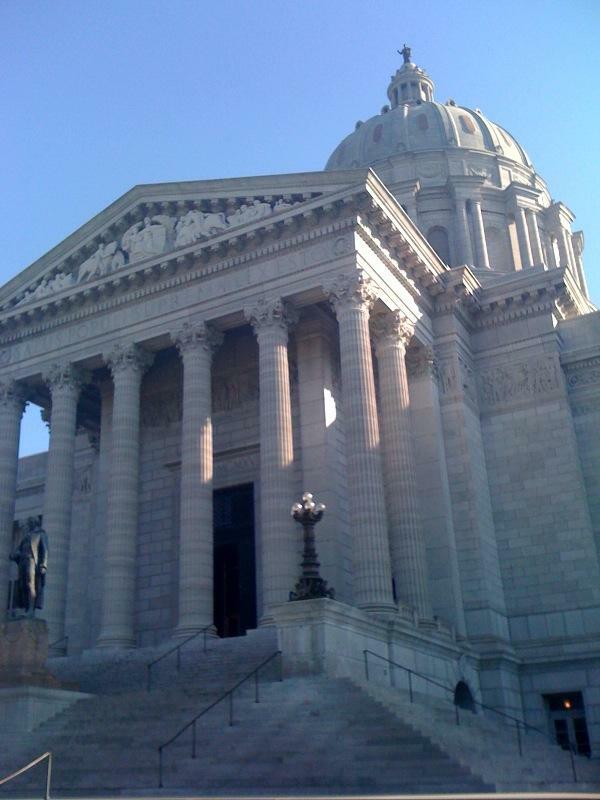 Missouri senators have taken the final step to deny pay raises for themselves and other elected officials. Senators voted 25-2 against the raises late Monday. They had until Wednesday to act. The vote came after Republican Gov. Eric Greitens put pressure on lawmakers to oppose the raise, which prompted a prickly response from some senators. Republican Sen. Paul Wieland described Greitens' tactic as intimidation and said he felt insulted. Prosecutors are moving forward with a case against 23 clergy members involved in a 2014 protest of the Missouri Senate. Authorities charged the clergy with obstructing government operations and first-degree trespassing after they and a few hundred others protested lawmakers’ refusal to expand Obamacare two years ago. Protesters had filled the Senate’s public galleries, chanted and sang before the police arrested 23 of the 100 protestors and clergy members. A former GOP gubernatorial candidate and a conservative talk radio host are among those who will review the University of Missouri following turmoil last fall. The University of Missouri fell under scrutiny after student protests in Columbia over what some saw as administrators' indifference to racial issues. Lawmakers frustrated over how the protests were handled created the UM System Review Commission to review system policies and administrative structure. The eight-member commission will recommend changes. A Missouri Senate staffer has begun reviewing Planned Parenthood's internal records, including procedures for fetal tissue disposal. 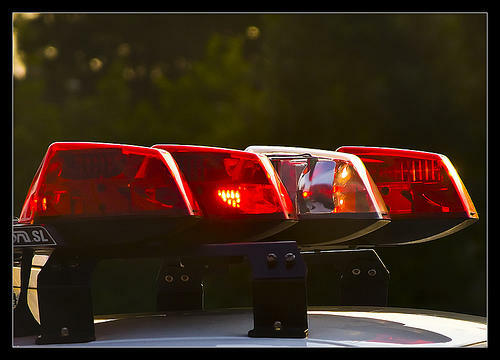 A bill moving through the Missouri Legislature would limit public access to police body camera footage. Restaurants wouldn't have to pay sales and use taxes on electricity and other utilities used to prepare food under a measure headed to the Missouri Senate. 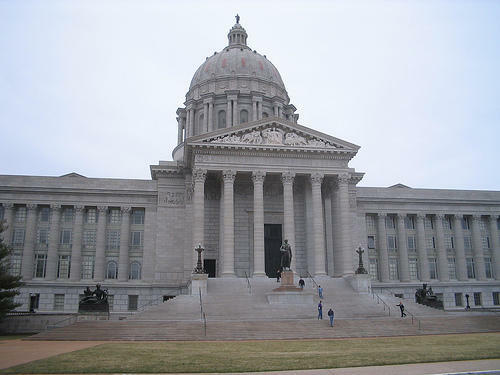 The state Senate has approved a proposal designed to lure large conventions to Missouri. Missouri would pay testing fees for residents taking a high school equivalency test for the first time under a proposal that has won initial approval in the state Senate. Democrats are slowing down work in the Missouri Senate after Republicans broke up a 37-hour filibuster. Missouri Senate leaders have decided to delay moving the news media off the chamber floor because of cost concerns. JEFFERSON CITY - A state senator running for attorney general wants Missouri to expand its "stand your ground" laws to make it easier for people to use deadly force in self-defense. Sen. Kurt Schaefer told a senate panel Wednesday that people should be able to do whatever it takes to defend themselves without worrying about a lawsuit afterward.